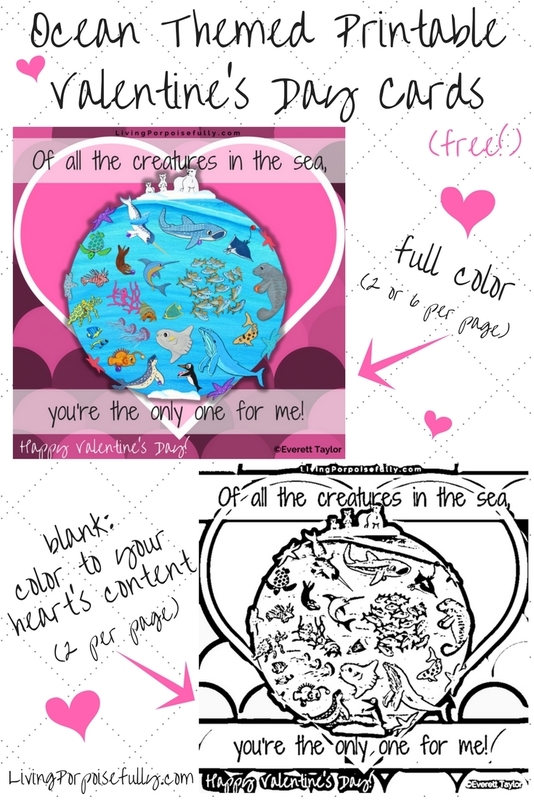 “Of all the creatures in the sea, you’re the only one for me!” It’s almost Valentine’s Day, and we’ve got a new FREE printable card for you to share the ocean love. We’ve used our own hand-drawn and hand-painted illustrations from our children’s books, making it full of the ocean life we find so spectacular! They’d be an adorable addition to kids’ lunchboxes, or for kids to give to their classmates. And why not give a gleeful grin to your soulmate or best friend in an email greeting? P.S. – Have a fever for ocean themed Valentine’s? We’ve got you covered with lots more. Click here!